Professional and personal continuous glucose monitoring systems exhibit similar accuracy in both inpatient and home settings, with both having lower sensor performance during hypoglycemic episodes. About 17 percent of patients with diabetes report experiencing hypoglycemia when fasting for lab tests. 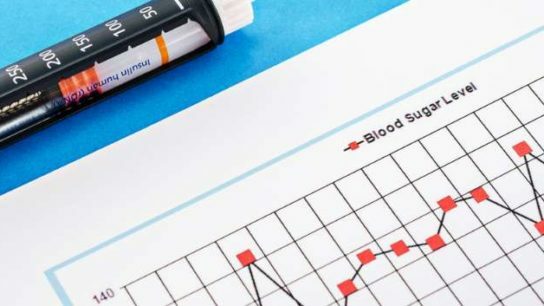 “This is the first report of decreased insulin requirements in a patient with [T1D] correlating with micafungin administration,” noted the authors. The NDA included findings from multiple Phase 3 trials evaluating the safety, efficacy, and utility of the Xeris glucagon rescue pen auto-injector to treat severe hypoglycemia vs currently available glucagon emergency kits in children, adolescents, and adults with type 1 diabetes. Mini-dose glucagon was as effective as glucose tablets for preventing hypoglycemia and may result in less post intervention hyperglycemia. Investigators recorded hypoglycemic symptoms and monitored blood sugar levels by continuous glucose monitoring for 6 days.